Thanks to perfect organisation and the very nice space at Aktionsverket, “à la London” is a GREAT design-market. 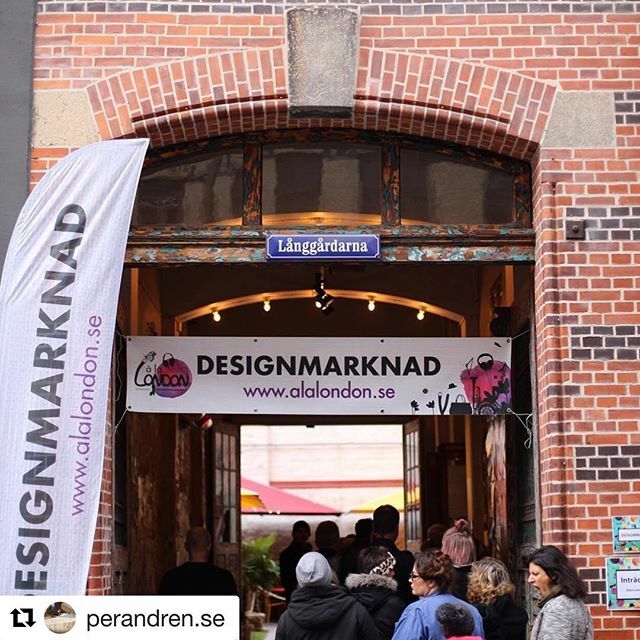 If you were one of 4500 curious who came this week-end to find good design-objects/graphics/jewelry I guess you were as satisfied as I am… If you were not there, don’t miss it next time! There was also a certain feeling of Christmas. A great fireplace. Glögg and pepparkakor and an amazing Christmas-tree serving it. I feel particularly grateful for my good friends coming by and Liten Jizôs finding new homes… Thank You All! If you regret you didn’t adopt your Liten Jizô this week-end or just need some of it’s magic, you are welcome to Sweet November, Västra Hamngatan 23 vid Grönsakstorget / Göteborg. They can also and by the way provide the nicest haircuts.